A former Upstate New York congressman is part of a bi-partisan effort to take the money out of politics in Washington. Richard Hanna, a Republican who served three terms in the House from Central New York, is a member of The ReFormers Caucus, made up of almost 200 former elected officials, both Democrats and Republicans, who launched the “Fix Politics Now” campaign this week in Philadelphia. Hanna spoke with WAMC’s Brian Shields about the goals of The ReFormers Caucus. Republican Assemblywoman Claudia Tenney edged Democrat Kim Meyers to replace retiring Congressman Richard Hanna, representing central New York's 22nd Congressional District. Among the more closely watched primary races today in New York is the election for the GOP nomination for the 22nd House district, which includes portions of central New York, the Mohawk Valley, and the Southern Tier. There are three candidates: Assemblywoman Claudia Tenney, who ran two years ago but lost to the incumbent in the primary; Cazenovia business owner Steven Wells; and George Phillips, a teacher from Binghamton. Payne Horning is a reporter for public radio station WRVO in Oswego and has been watching the campaign. Two-term U.S. Rep. Richard Hanna has defeated tea party-backed challenger Claudia Tenney in the Republican congressional primary election in central New York. 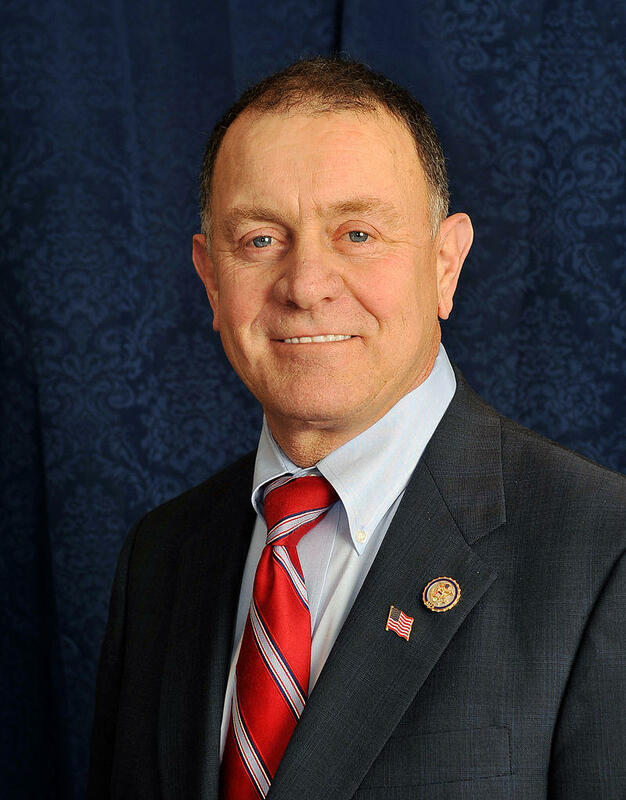 Two of the largest employee unions in New York’s Oneida County have endorsed U.S. Rep. Richard Hanna in the upcoming Republican primary on June 24, in the race for the 22nd Congressional District. Hanna faces state Assembly Member Claudia Tenney of New Hartford in the primary. The Rome Lab and U.S. Defense Finance and Accounting Service employees are backing the incumbent Hanna, saying he helped protect jobs as deep cuts hit Defense Department spending. The two unions represent roughly 750 employees on the former Griffiss Air Force Base in Rome.